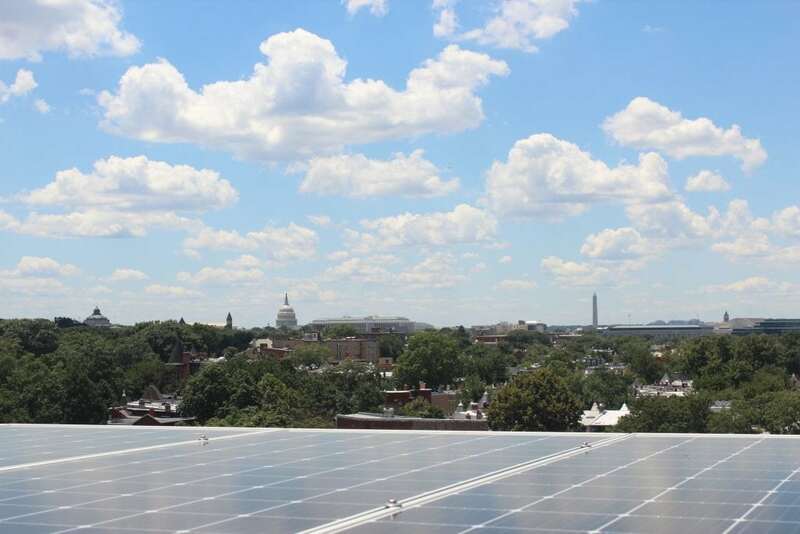 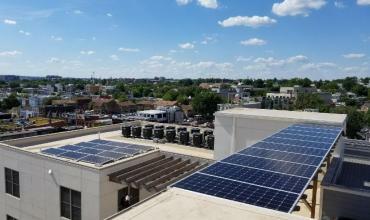 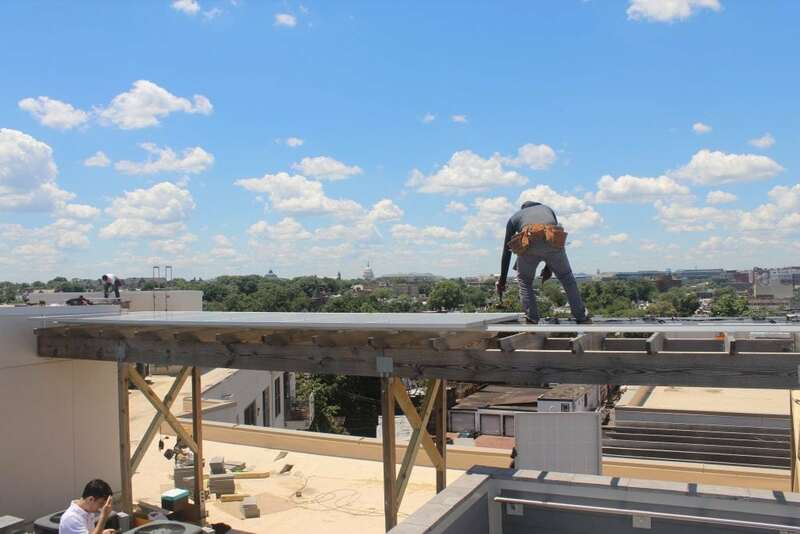 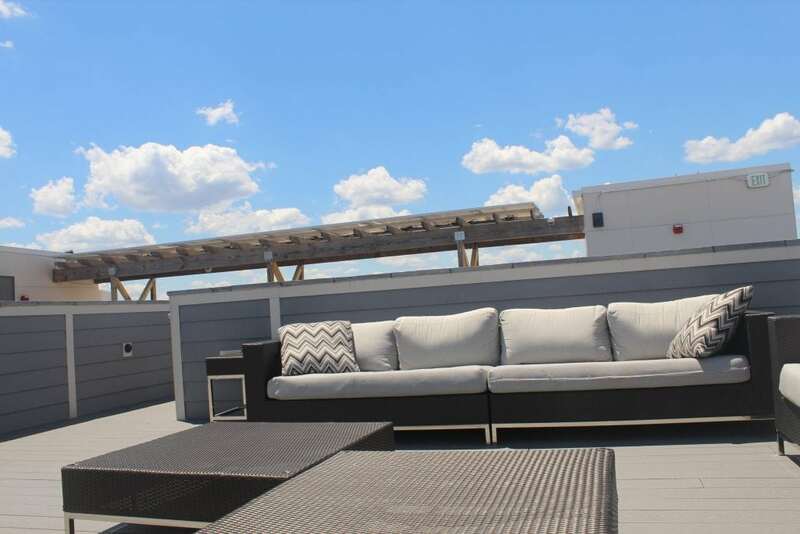 A condominium in Washington DC wanted to save money on their utility bills and looked into water efficiency measures, electricity savings and into solar power generation. 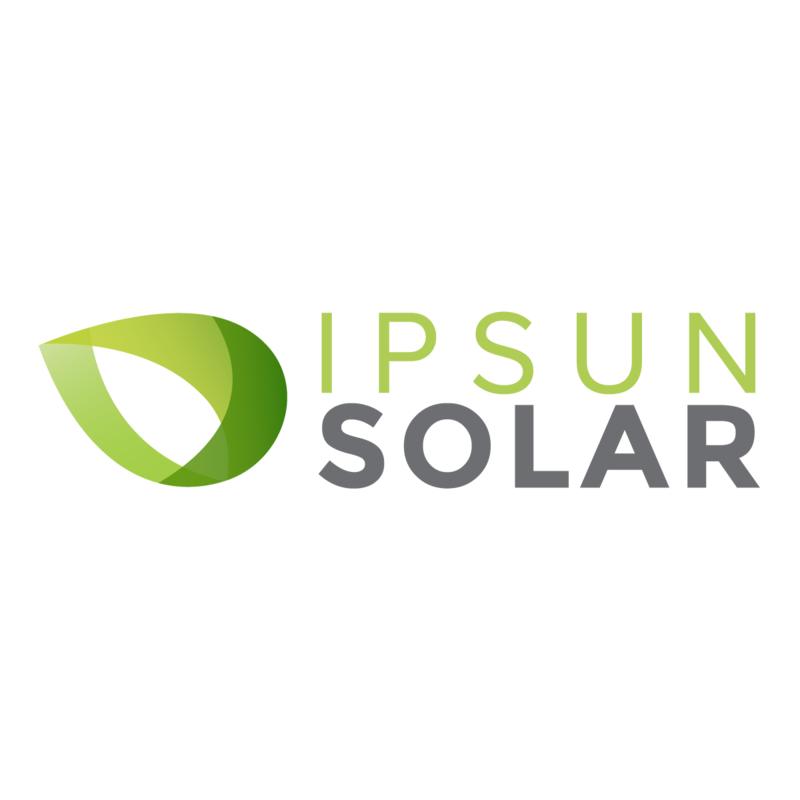 Ipsun Power offered a PPA option where the condominium didn't have to pay any upfront money for a solar system so they could still do other energy efficiency measures that required upfront capital. 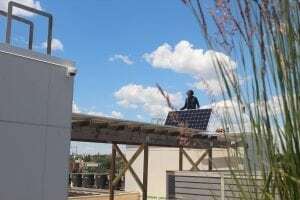 Ipsun Power had to be creative to install solar on the roof because the condominium has a very nice rooftop with many amenities on it. 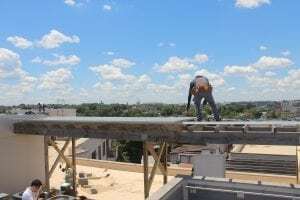 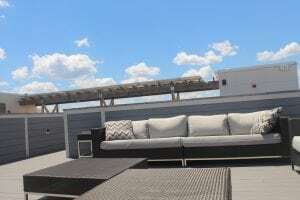 The only option to create a solar array large enough to make a difference was a combination of a ballasted system and solar arrays on existing pergolas. 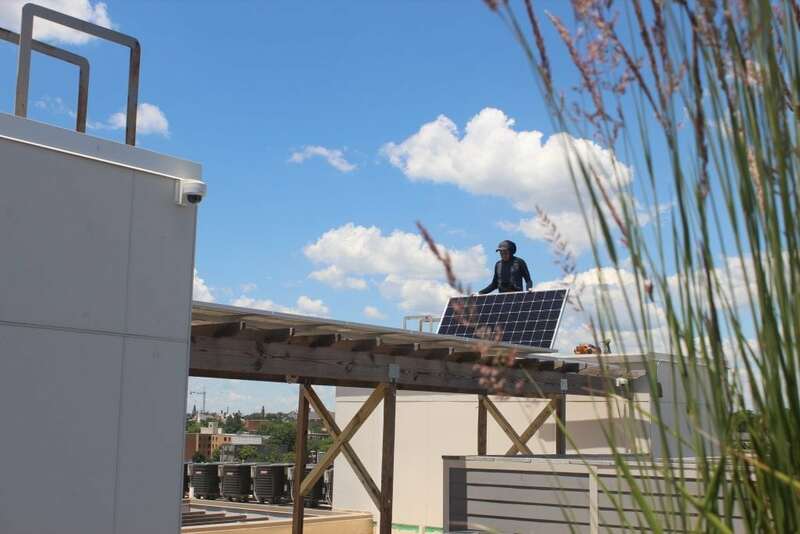 The condominium has 34 Canadian Solar 335 W panels with a single SE14.4 tri-phase inverter with optimizers. 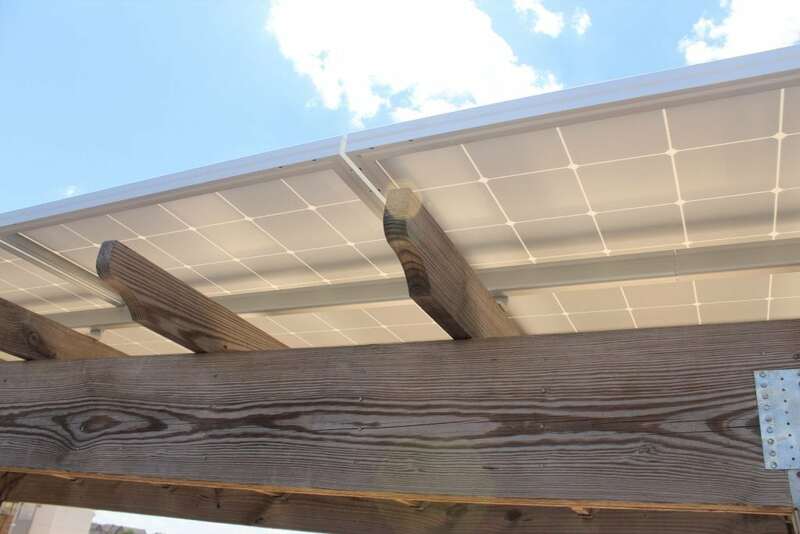 Racking is a combination of Aerocompact and IronRidge.